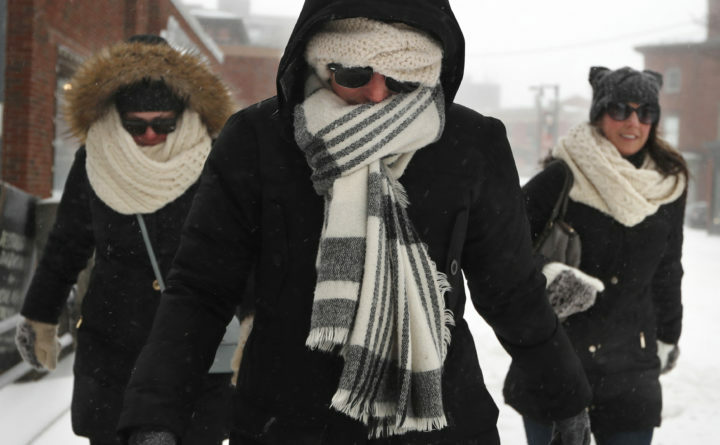 Julia Beebe, center, Shannon Amore, left, and Jessica Lynch brave a winter storm to keep a lunch date in Portland, Jan. 20, 2019. Good morning. Temperatures will be in the low 30s in the south and single digits in the north with sunny skies throughout the state. Here’s what we’re talking about in Maine today. 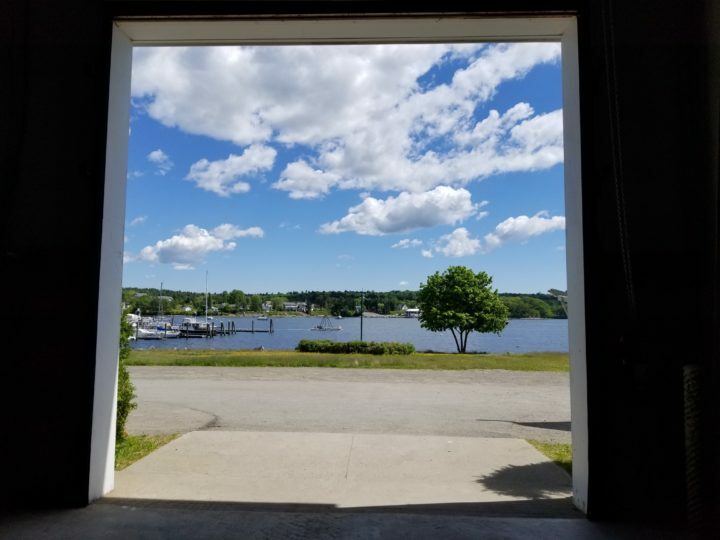 The view of Belfast's harbor from inside the former French & Webb workshop. Paul Naron has purchased the property and plans to redevelop it, but those plans hit a snag last week after a contentious meeting with the City Council. –A developer with plans for a major downtown development and city officials engaged in a testy argument over waterfront access. City officials are insisting on a permanent easement for the Harbor Walk, but developer Paul Naron has other ideas. –A small minority of school districts in Maine expect to keep proficiency-based diplomas in place now that the diplomas that emphasize students’ mastery of the state’s academic expectations are no longer required. 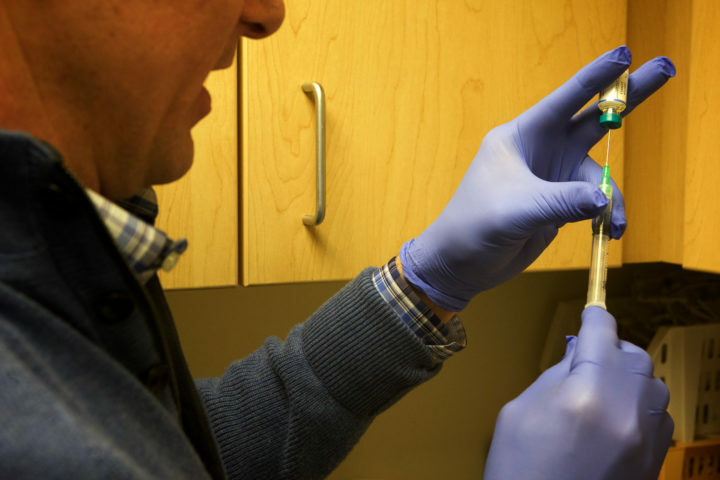 Assistant professor Kenneth McCall prepares a measles, mumps, and rubella vaccination at the Portland Community Health Center, March 9, 2015. –Vaccination rates against measles are worryingly low at about half of Maine schools with kindergarten classrooms. –In 1980, Passamaquoddy tribal historic preservation officer Donald Soctomah heard some very old audio recordings of Passamaquoddy songs and stories for the first time. The recordings, made in Calais in 1890, are the oldest known recordings of any Native American words or music and the first-ever anthropological field recordings. Jack and Diane marry at Kennebec Valley Humane Society in Augusta on Wednesday. –That applies to the Kennebec Valley Humane Society, too, where shelter staff last week married Jack and Diane, two older pups who are inseparable and need to be adopted as a pair. 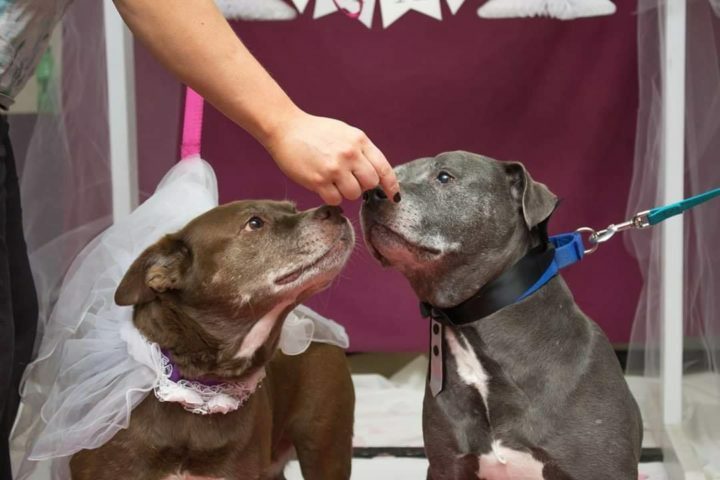 Shelter staff joke that the mixed breeds act as an “old married couple,” so they threw them a wedding. A record number of teams are competing in the 29th annual U.S. National Toboggan Championships at the Camden Snow Bowl this weekend. –With a wind advisory in place and mirror slick ice, the U.S. National Toboggan Championships in Camden was no place for the faint of heart on Saturday. 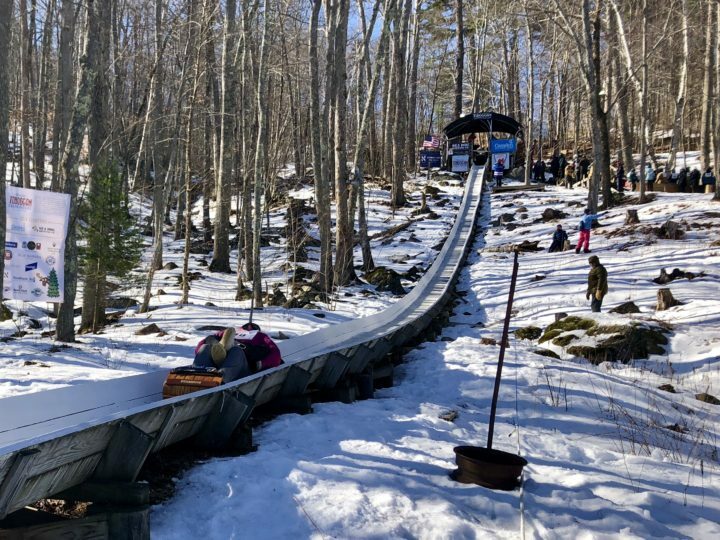 But 425 teams toughed it out to race down the 440-foot-long chute on traditional wooden toboggans for the 29th year of the Camden Snow Bowl’s signature event. CMP told 62,000 customers they were getting refunds. That was a mistake. Clean election funding didn’t work in Maine. It shouldn’t be used nationally. Your Morning Update is published every weekday. To receive this in your inbox weekday mornings, or to check out our range of free newsletters, click here. To subscribe to the Bangor Daily News, click here.